Rhino had an itch, a great big terrible itch, right in his ear. 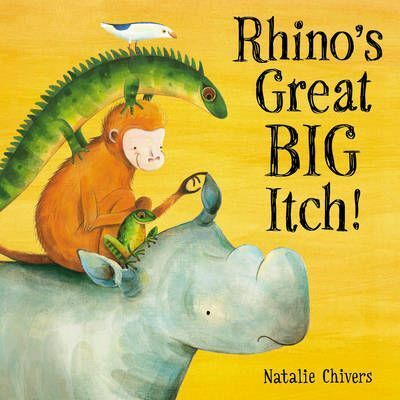 So Rhino rushes off to find an animal big enough to scratch his great, big itch. But the animals are all too slimy, too silly, too prickly or just too scary! Can anyone help poor Rhino? Rhino had an itch, a great big terrible itch, right in his ear. "All you need is a little help!" suggests Bird. So Rhino rushes off to find an animal big enough to scratch his great, big itch. But the animals are all too slimy, too silly, too prickly or just too scary! Can anyone help poor Rhino?